Leave a comment for a chance to win a pair of tickets to our party at Institut für Zukunft in Leipzig! If you’ve been keeping up with the Electronic Beats Clubnights series, then it will come as no surprise to you that one of our upcoming editions will feature I-F (a.k.a. 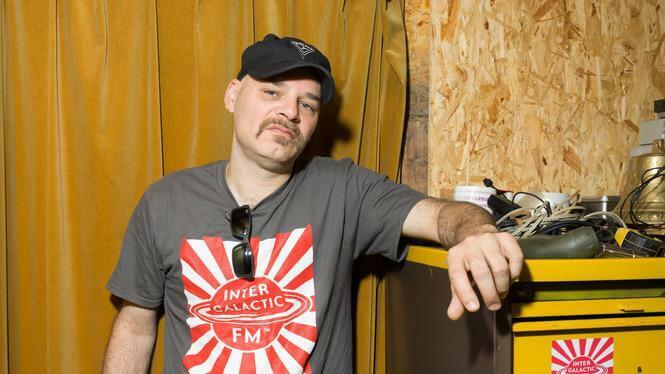 Ferenc van der Sluijs), the Dutch electro pioneer and head honcho of online radio station Intergalactic FM. If you want to win tickets to the party at Leipzig’s Institut für Zukunft on September 23, all you have to do is comment on our Facebook post here. IfZ resident Perm will join I-F on the main dance floor and showcase his unique blend of techno and psychedelic electronica. To prep yourself for the party, read his guide to music that can be heard at Leipzig’s top club and head over to the event’s Facebook page for more information.